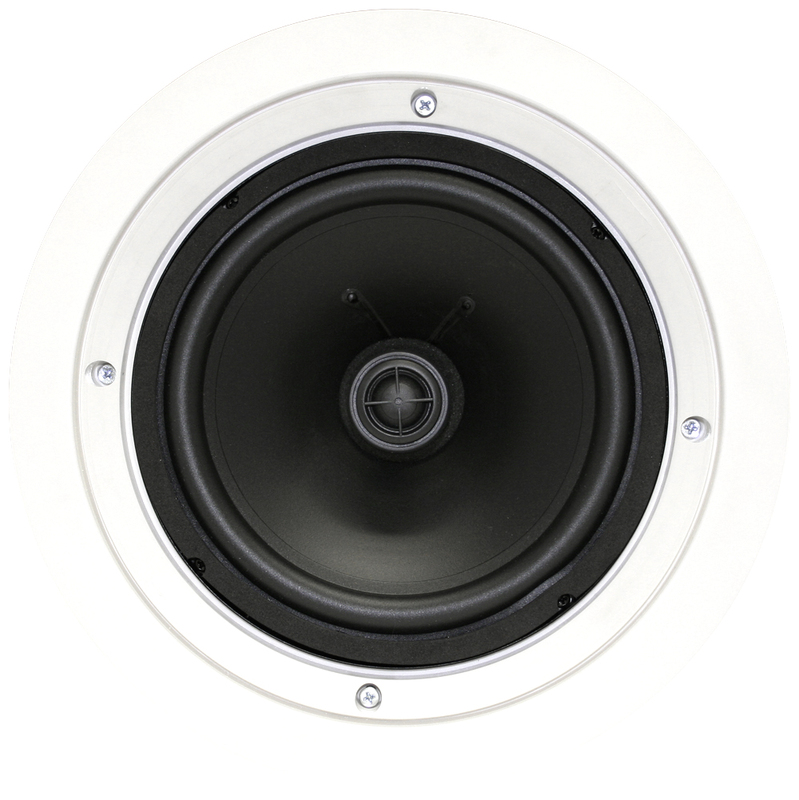 Imãge CM800 Ceiling Mount Speakers - Earthquake Sound Corp. 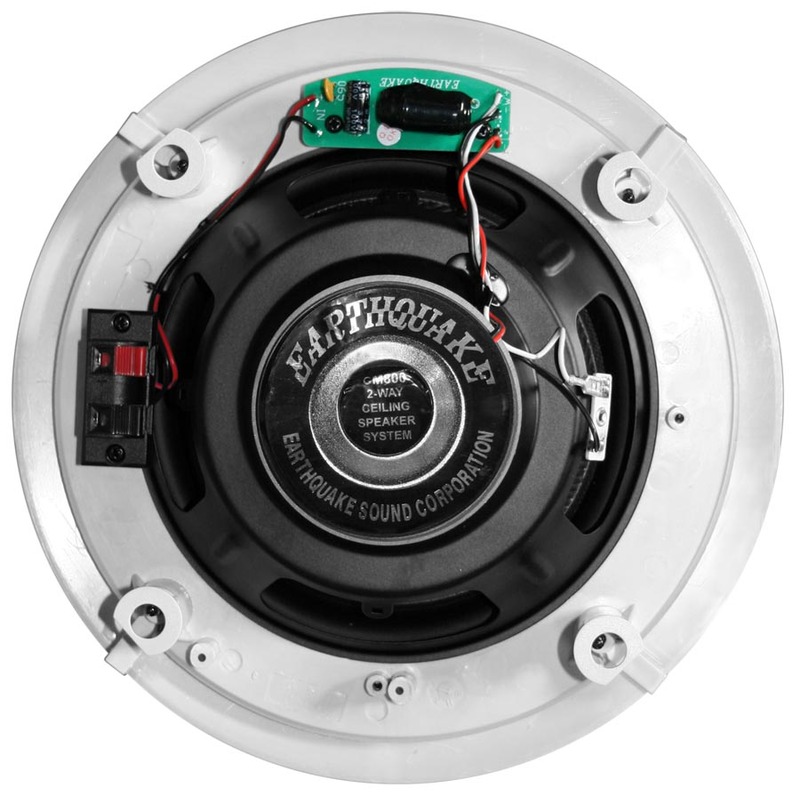 Engineered to bring a new dimension of reality and convenience to a flush-mount design, the Earthquake Imãge In-Ceiling speakers feature a unique adjustable tweeter that allows custom designers to create enveloping sound fields and localized effects without disrupting a home's décor. 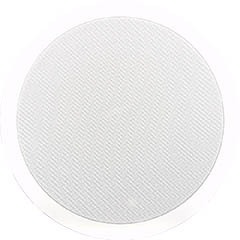 Designed for surround use in home theater and music applications, the Imãge In-Ceiling speakers employ poly-mica injection woofer cones and a single 3/4" neodymium tweeter with silk dome and enhanced high frequency. Because of their adjustable tweeter and expanded surround woofer, the Imãge In-Ceiling speakers outperform conventional designs by maximizing diffusion, clarity and efficiency while minimizing room interaction that blur sonic truth. Available in 2 different sizes: 6-1/2" and 8"